Digga's Mini Under Road Borer has a horizontal head which drops below ground level for under road boring or reaming. Eliminates pavement removal for pipe and cable laying. 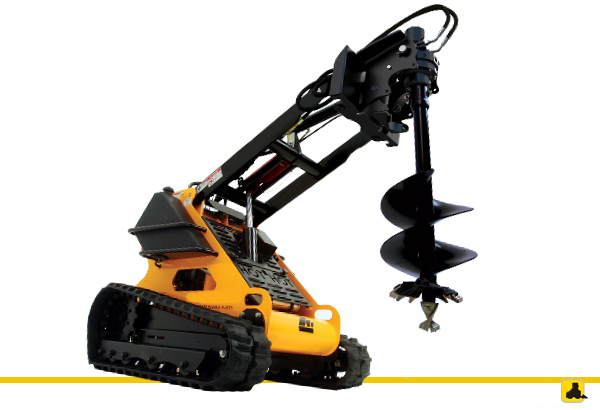 Custom Under Road Borers enable stacking of augers for longer holes. 1500mm Extra Long Continous Flighted Augers. 2 Removable Pilots for the augers; 80mm diameter and 90mm diameter. 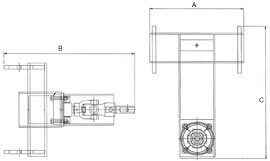 2 Auger widths available; 65mm diameter and 80mm diameter. Joiner and D Clip available for easy connection of the augers. Under Road Boring and reaming for installation of pipes and cables.